After an extensive search, the Ventura County Office of Education (VCOE) is pleased to announce that Dr. Cesar Morales has been named the new Associate Superintendent of Student Services. Dr. Morales will be joining VCOE from the Oxnard School District, where he has served as Superintendent for nearly six years. In his new role, Dr. Morales will lead VCOE’s Student Services Branch, which is comprised of special education schools, alternative schools, charter school oversight, migrant education, homeless and foster youth programs and programs for teen parents. The Student Services Branch also oversees the Career Education Center, which provides job-related training to thousands of middle and high school students throughout Ventura County. In addition, it coordinates popular countywide academic competitions, including Mock Trial, Academic Decathlon and the Ventura County Science Fair. Dr. Morales has an extensive record of achievement as the Superintendent of the Oxnard School District. He led the conversion of the district’s schools to academies with specialized areas of focus. He provided tablets for every student in the district, implemented a digital literacy program and expanded dual-language programs. He also led an effort to replace portable classrooms with permanent buildings, hired counselors for every school and developed the OSD Pride campaign to improve the district’s culture. And during his tenure, he was responsible for the implantation of two school bond measures. 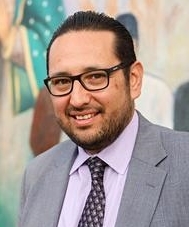 Before taking on his current duties in Oxnard, Dr. Morales held leadership roles in the Lawndale and Lennox School Districts in Los Angeles County. He also has experience in the classroom as a middle school teacher in the Lennox School District and as a high school teacher in the Los Angeles Unified School District. Dr. Morales received his Doctor of Education degree from UCLA and his master’s and bachelor’s degrees from Loyola Marymount University. Dr. Morales serves on a number of local nonprofit boards, including the First 5 Ventura County Commission and Assemblymember Jacqui Irwin’s Education Advisory Committee. He is also a past President of the California Association of Latino Superintendents and Administrators. Dr. Morales is a recent recipient of the El Concilio Latino Leadership Award and was named a “Leader to Learn From” by Education Week magazine in 2017. Dr. Morales fills the vacancy left by Dr. Roger Rice, who was recently hired as the new Superintendent of the Ventura Unified School District. Dr. Morales will begin serving in his new position on July 1. Additional information about VCOE’s Student Services Branch is available here.